The loop is made of aluminium. Even the smallest antenna has a 50mm ( 2 inch) diameter of the tubing. Because of the large surface area there is less loss of gain. Both ends are welded on the socket, no screw connections so no contact resistance. The tuning capacitor on our loops is not a simple variable capacitor but a big variable plate capacitor of aluminium with an air-dielectric. Both plates are also welded directly to the loop and indestructible on high power! The distance between the plates is 14mm (ca. 1/2 inch) on the smallest antenna. 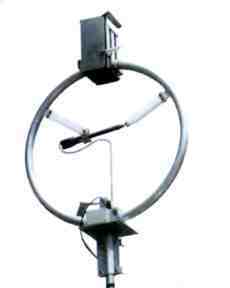 The tuning of the antenna is done with an automated control unit. This controller is supplied with a 230V power supply. Operation is handled by a small numeric USB keyboard: Enter the desired frequency, wait a moment, ready. The antenna has tuned automatically and is ready to transmit after a short while. No difficult tuning process, no note taking, no complicated search for lowest SWR. The display shows frequency and SWR for immediate check, some LEDs signal the current state of the controller. The max. power load with the automatic controller is 250W! An english manual is included in shipment. The new version of the controller, which is shipped since spring 2016 contains a RS-232 interface. This interface will allow direct frequency control by certain radios in the future (requires software update). 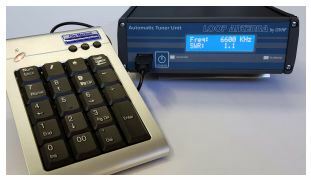 The frequency information is directly transferred from the radio (Icom, Elecraft) to the controller, the antenna tunes automatically to the current frequency. Further an Ethernet interface will be available later as a hardware option. The new version of the automatic controller is available separately as well and can be used with older models of the manufacturer. Midsize antenna, ideal for 80m up to 20m with continuous covering, manufactured on a stable aluminium reed with a diameter of 75mm (ca. 3 inch). 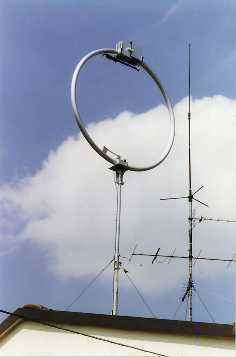 Loop diameter is 2m (ca. 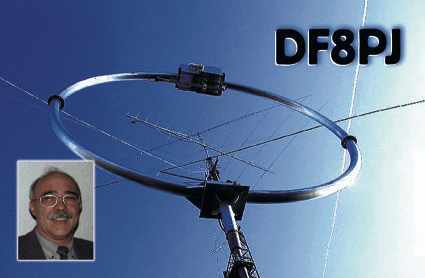 78 inch), can be mounted without radials, like all loop-antennas. The Magnetic Loop antennas with manual tuning require four wire for control, the antennas with the automatic controller require two wires. The smallest cable we offer is a six wire cable. With this cable you could 2x2 wires in parallel for manual tuning, or 2x3 in parallel for automatic tuning. Due to the enlarged diameter very long cable runs are possible.